The Mexican plastics industry has had a positive performance in 2015; consumption and production experienced growth of 8.8% and 7.7%, respectively. The best news is that exports, reaching 1.7 million tons, represented 33% of total production. However, since this favorable trend might be affected due to the currently low price of oil, the members of the National Association of Plastics Industries, aka ANIPAC (Spanish acronym), is currently analyzing the present and future state of the industry.. 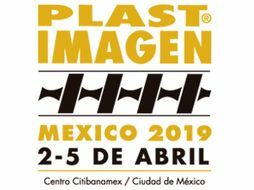 Technological innovation is one of the areas where PLASTIMAGEN®MÉXICO contributes to support Mexican companies. Visitors, who are responsible for making purchase decisions for companies that make a difference in our country, will find in the exhibition halls a full range of raw materials, the most innovative machinery/equipment, and training services that are necessary for your product to compete on equal terms with any country in the world.